Here’s a clever tip from Theodor Pettersen, one of our readers from Norway. Theodor writes: “I am an Norwegian shooter and reloader with 40 years of experience and practice. I would like to pass on a tip on how to improve the kinetic bullet puller (also known as an ‘impact puller’). Most of them use a 3-section collet which has three jaws held together with a rubber ring. It is very time-consuming when they pull apart, and have to be put together. Thanks for the tip Theodore. We’ve tried it with a MidwayUSA-brand impact bullet puller and it works. We agree that the collets can be awkward to use, as the jaws can flip over when you’re installing the rubber retaining ring. Still, this editor normally prefers to use the collet, because it seems to be faster than a shellholder — so long as the rubber ring stays in place. The shellholder method is a good alternative though — if you’ve lost your collets or don’t have one that fits your brass. Quick TIP: For ballistic tip bullets or bullets with tightly-pointed meplats, try putting a small wad of paper (or closed-cell foam) in the bottom of the impact puller chamber. This will cushion the bullet tip, preventing damage when the bullet drops out of the case. Never used a kinetic bullet puller before? Here’s a video that shows you the proper technique. The best surface for the impact is something like a linoleum floor — very firm but not so hard that the plastic head cracks on impact. Note: In this video demo, there is no powder in the cartridge. If you are pulling bullets, powder will come out and you’ll want to have a pan to pour that into, as you recover the bullet. 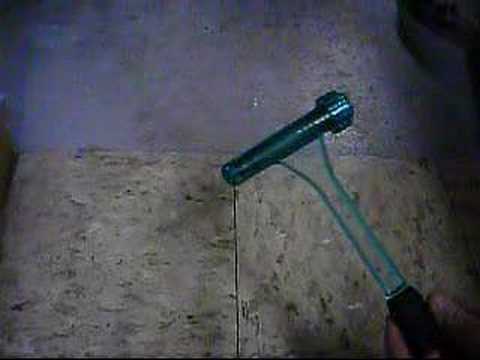 Share the post "Reloading TIP: Use Shell Holder with Impact Puller"